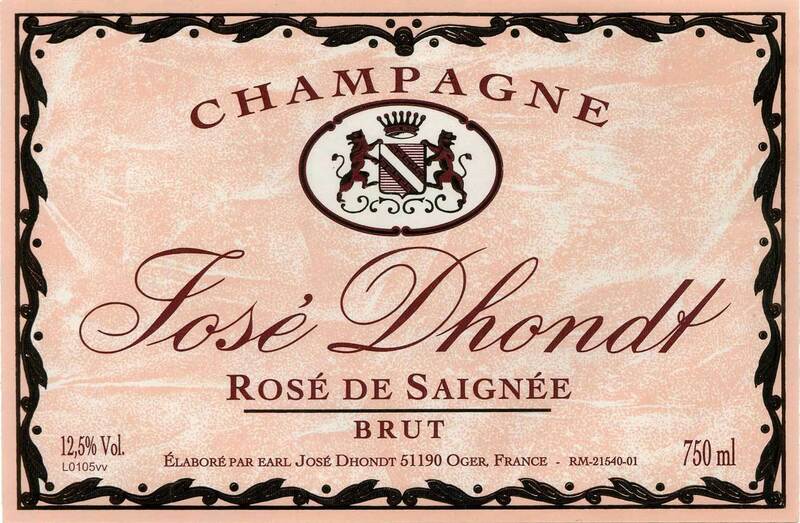 Long time Champagne grower Jose Dhondt made his first wine in 1974. Dhondt now makes three wines, a NV Rosé, a NV Blanc de Blancs and what he calls “Mes Vieille Vignes,” which, although always made from grapes of a single year, he vintage dates in its best years. The Dhondt family’s 6 hectares are split across several parcels, equally divided between the Cote des Blancs (Oger and le Mesnil sur Oger) and the Sézannes regions. The vines average 25 years of age, though grapes for his “Vieilles Vignes” cuvée come from 56 year old vines on a tiny parcel on a slope of Oger that was planted by José’s grandfather. Dhondt avoids chemicals as much as possible, parcticing “culture raisonnée. The estate is headed toward organic and biodynamic certification (which is very difficult to achieve and Maintain in Champagne. He keeps yields low with a severe debudding and merciless sorting before the grapes go into the press. Pressing is done in a traditional wooden vertical press and only one “retrousse” is allowed. Vinification is in small temperature controlled stainless steel vats with individual lots kept separate. Some grapes are sold to Moet. This 100% Pinot Noir (from a a single site called La Cote aux Lièvres) Rosé is fermented in small stainless steel tanks with 12 to 24 hours of skin contact and allowed a full malo-lactic fermentation. Given three years on the yeasts and dosed to 8 grams-per-liter. Offers more color (a vivid pink-red) and depth than most Rosé Champagne with lots of almost sweet tred fruit and just enough citrus to go with some mineral earth and toasty richness. Excellent food Champagne for drinking all the way through a meal. BearScore: 94. 100% Chardonnay. The vines average 25 years of age, Pressing is done in a traditional vertical wood press and only one “retrousse” is allowed. Vinification is in small temperature controlled stainless steel vats with individual lots kept separate. Disgorged in may 2016 after 30 months on the yeasts, Dosage 8g/L. Pale-straw color; medium-bodied with fresh acidity. 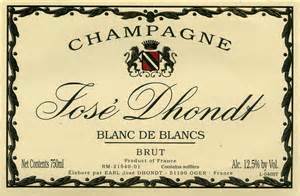 An earthier style of Blanc de Blancs with citrus and toast but some earthier richness and a different sort of toasted brioche (how’s that for a ciché?) yeastiness. Delicious. BearScore: 92+.